Happy Monday! 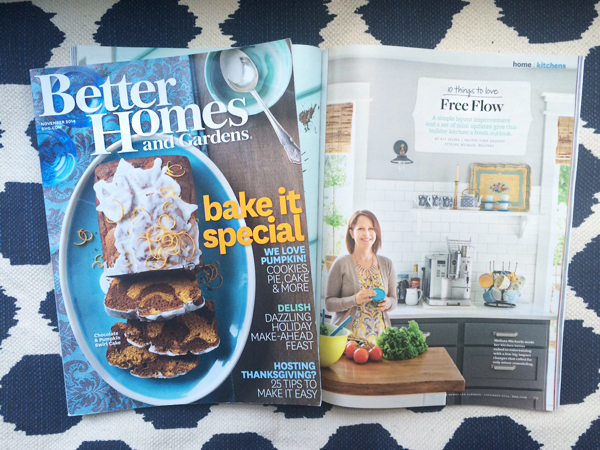 So, the word on the street :) is that the Better Homes & Gardens magazine featuring my kitchen is finally out! I haven’t actually seen it in a store yet, but I have received some emails from readers receiving their magazines in the mail. So YAY! Check your mailbox or local store! I did receive a few copies in the mail from from the editor, so I did get to see it in person (thanks, BHG!). So exciting! 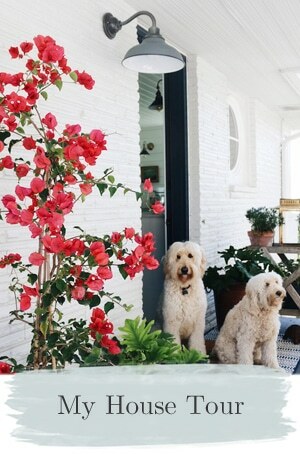 Have you ever ordered a digital copy of BHG on your iPad or phone? It has some cool extra features like interviews and additional photos! I haven’t wanted to listen to myself because … WEIRD, but there is a link in the digital version where you can see some photos and hear an interview with me chatting about my kitchen! It’s a fun way to read the magazine and get some bonus content, too! 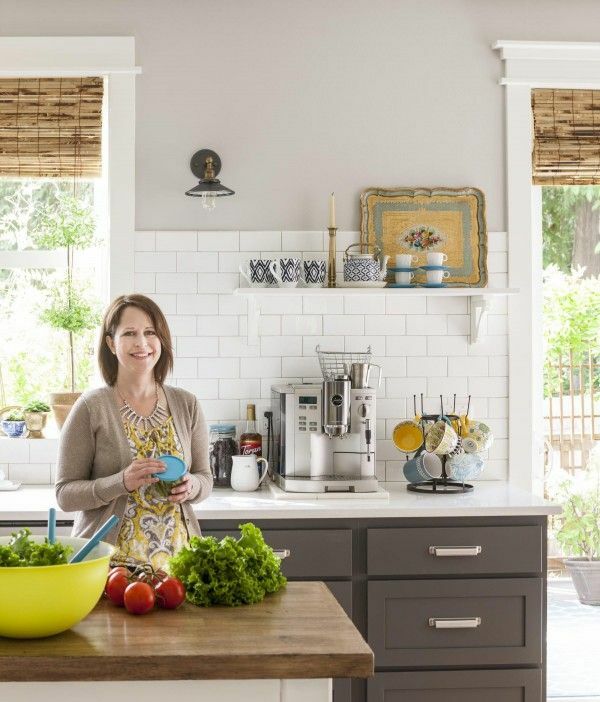 Here I am in Better Homes & Gardens magazine, just standing in my kitchen smiling, making a salad. :) I know. It makes me laugh. But one thing I really loved about the experience was how interested BHG was to capture a realistic image of how we live in our kitchen. I actually talked with the photographer in depth about what types of things we would make in the kitchen, and salad is a common occurrence at our house! So, salad it was. It wasn’t easy to look natural standing there with my salad, though. I would have no interest in being a celebrity or TV star. Oh, the pressure! Heheheh. I prefer hiding behind the screen. It was a really fun experience and I’m grateful for the opportunity! Thanks again for all your kind messages about the magazine, and for being excited with me! 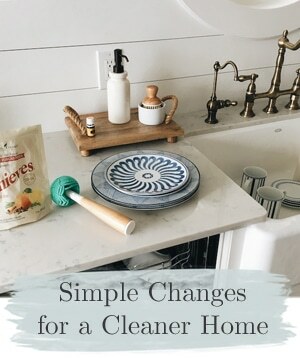 If you didn’t see my recent post for Better Homes & Gardens Style Spotters, you can find it here. Behind the Scenes at my Better Homes and Gardens shoot! I was reading my copy of BHG in the car coming back from vacation on Saturday. All of a sudden I said, “Melissa’s kitchen is in here!” My husband started to ask who you were, but ended up with, “Is this a blogger?” Apparently my menfolk don’t quite share my love of blogs! It was fun to see a “familiar” face and see so many photos of your kitchen. You and your salad look lovely! Ha! It’s so funny how our husbands start to hear about our blogging friends as much as the real life ones! That makes me happy though, blogging friends are real too. :) Thank you, Laura! Well I’m honored to be quoted, ha! Thanks Diane! So happy for you, Melissa. Can’t wait to see the magazine. I mean, I always smile when I’m making a salad! :) Big congrats!! Can’t wait to see it. Oh, that’s interesting. Guess they changed the cover after I received mine! Congrats. How exciting. I havn’t seen it yet,but now I will look. P.S. I live in the Pacific NW as well. If you will be doing a book tour, would you post the places and dates? Would love to meet you in person! Thanks, Gracia! And yes, I will definitely let you know my plans when the books come out! :-D Thank you so much! It would be wonderful to meet you and other local people! love the magazine article. Can I ask where you got the yellow (?) looks like that on my computer that is underneath the maps. I don’t know how I never saw that before I love it. How excited is your family, Oh how did Jack react you no its hard to share the spotlight after all he is the pup of the year! I am sure he didn’t mind. Jack was a little miffed that he didn’t get to be IN the magazine. But he know’s he’s really the famous one around here! Ooh, how fun! I think getting my BH&G each month is like Christmas all over. I’ll definitely be on the lookout. So thrilled for you, my friend. I remember how hard you worked on that kitchen! So lovely in so many ways! Congratulations! Your kitchen is beautiful! That’s such an incredible experience and opportunity! Congratulations, Melissa! You look great standing there in your beautiful kitchen! Well, that is just thrilling! Doesn’t get much better than BH&G, right? I think you look perfectly at ease in the photo, and the kitchen is really beautiful. Can’t way to see the whole spread. Congratulations! It is pretty exciting, thanks Seana! Love that coffee/tea station you got going on there behind you! Congrats on the feature. I prefer hiding behind the screen too. Random question. What is the paint color on the walls in your kitchen? Thanks! Exciting!!! 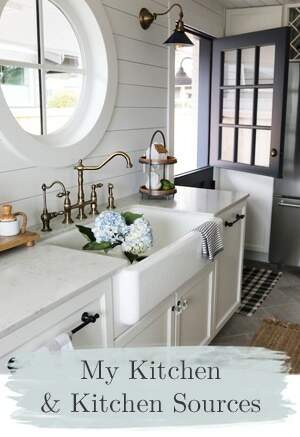 Love your kitchen and love BH&G!! Now that is a Happy Day…you look cute…but I hear you on trying to look natural. (which you do =) but when someone has me staged to smile….I always feel so funny….and my smile is awkward =} you did a great job. I am SO happy for you! I can’t wait to look for you when I get my copy in the mail. This is such an accomplishment! Congrats! I guess I can’t get a copy in Australia but I will keep my eyes out anyway. I just got my copy in the mail and can’t wait to read the article. Congrats! Wow! That is super exciting :-) You, your kitchen and your salad look lovely…and you look totally relaxed and comfortable :-) I can definitely understand your discomfort in front of the camera though….makes me so nervous too! 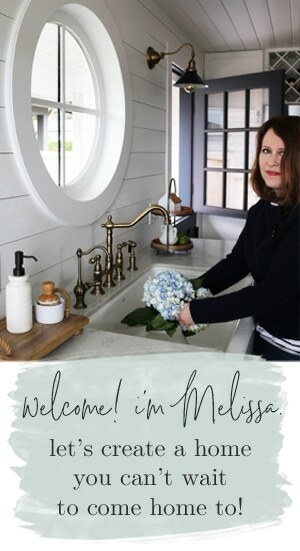 Melissa, I got my issue of Better Homes and Gardens in the mail yesterday, and was so inspired by your kitchen. After reading the article, I took our kitchen peninsula (which wasn’t anchored to the floor) and moved it to the center of the kitchen to make it an “island.” Our whole family loves how cozy the kitchen is now, and the move gave extra room to our cramped dining area, which now looks so much larger! Thank you so much! Enjoyed so much reading this article about your kitchens. Wish they had showed more of your house instead of only the kitchen. 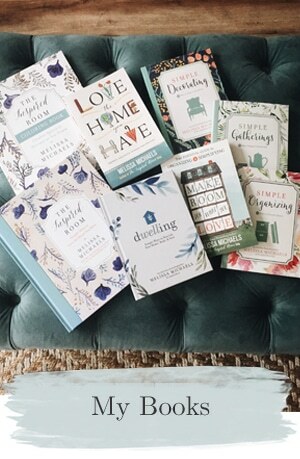 I learned about your blog from BHG and have been following you ever since ! Can’t wait to buy your first book. 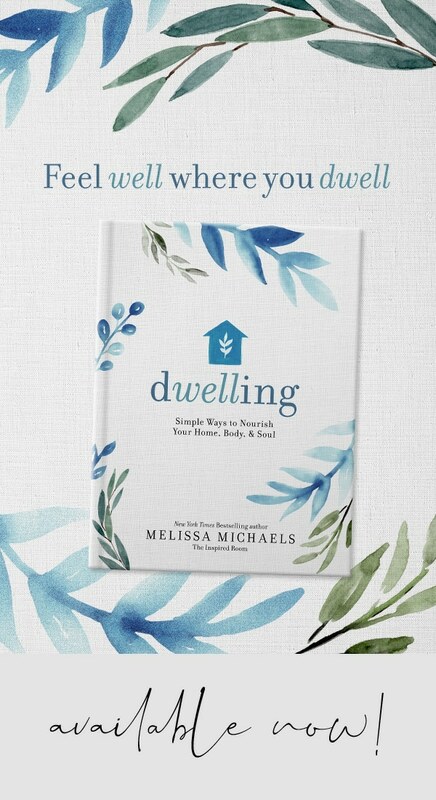 Keep up all the wonderful work and thanks much for sharing, Melissa !!! so excited to get this copy and hold onto it! HAPPY for you to be featured!! !